Remotely piloted aircraft are now what tractors were 100 years ago—a novelty that will soon become an essential part of farming. Life on the land is sometimes depicted as the opposite of technology-laden urban existence: a rural idyll, rustic and carefree, if a little backward. The truth about 21st century agriculture could not be more different from such a condescending cliché. Global satellite navigation systems, geographic information systems, livestock monitoring and application control systems are central to modern agriculture. These are swiftly being joined by an aviation technology that integrates them with spectacular results—remotely piloted aircraft (RPA). Among the tractors, headers and harrows at the 2014 Henty Machinery Field Days in southern NSW were examples of a new type of agricultural service provider: RPA operators. They offer farmers an eye in the sky that enables precision agriculture over a broad scale. An RPA can provide information on precisely where the weeds are, then fly off and spray those weeds, leaving other crops uncontaminated by pesticides. It can photomap a crop using both visible and infrared light and identify precisely which areas need fertiliser or pesticide, and how much. ‘In the old days the agronomist would ride into your paddock on a quad bike and take a few crop samples,’ says commercial RPA operator Phil Lyons. 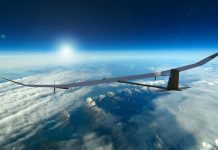 The AgEagle UAV system Lyons uses is a catapult-launched electric-powered fixed-wing aircraft of 2m wingspan that can cover up to 500 hectares in a 45-minute flight. An on-board camera with built-in GPS snaps a collage of up to 1000 digital photos that are melded into a single high-resolution image. Images showing with infrared lighting reveal a distinct colour in unhealthy plants that is invisible under normal light. Lyons offers a crop analysis service—or will sell the entire system—including aircraft, catapult, camera and image processing software to interested farmers. For surveys over larger properties, operators can use commercially available RPAs such as the Flamingo UAV developed by Silvertone, an Australian pioneer in radio controlled model aircraft. The Flamingo weighs up to 20 kg, has a 4 m wingspan, a top speed of 78 kt and an endurance of up to 10 hours. Japanese vehicle and aerospace manufacturer Yamaha demonstrated its RMAX agricultural helicopter at the Field Days. The two-stroke agricultural helicopter now has 14 franchised operators in Australia, Yamaha sky division sales manager Michael Johnson says. A four-stroke Yamaha ‘FAZER’ helicopter with 50 per cent greater payload is due to arrive this month for trials, Johnson says. However he is emphatic that for the medium-term at least, the RMAX and other remotely piloted aircraft will be a complement to agricultural aviation, not a replacement. 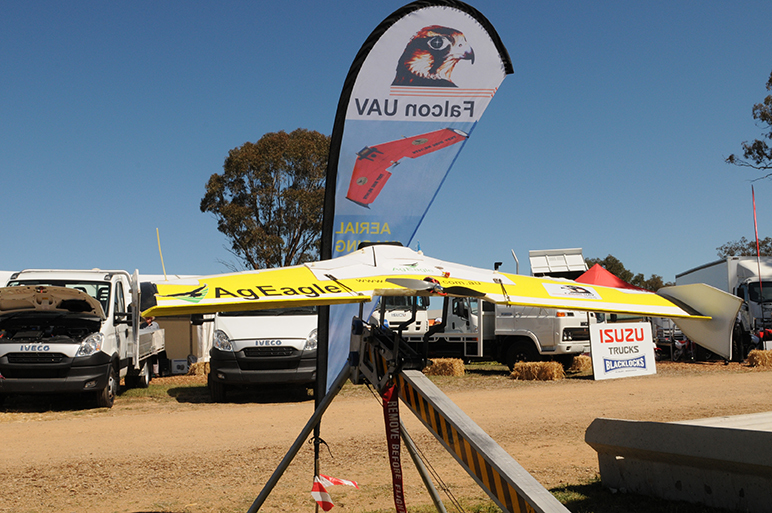 At the other end of the RPA size and weight spectrum is a system described at the Field Days by Australian Association of Unmanned Systems director Andrew Lucas. A successful trial in a cherry orchard had used a small battery powered unmanned aerial vehicle for crop protection to deter fruit bats. ‘This intelligent watch dog responds to sensors in the orchard, moving the birds and bats on, then returns to the roost and recharges itself,’ Lucas says. The concept has been proven, Lucas says, and the next challenge is developing a production system. For farmers the central question regarding RPA is the same as for industrial or commercial operators intrigued by the dramatic efficiency improvements these aircraft make possible. The question is: do it yourself or hire a specialist? The answer depends on where you plan to operate, and what sort of aircraft you plan to fly. Under current regulation, CASA regards a remotely piloted aircraft as, essentially a model aircraft if privately flown and an RPA if flown for commercial purposes. Under this classification, a farmer operating an RPA on their own land would be categorised as private use, even if it were taking spectral images of crops worth millions of dollars. A farmer taking similar crop pictures for a neighbour would be categorised as a commercial operation, and would be required to have an unmanned operators certificate and remote pilots licence, as would an employee of a farm using an RPA to take images of stock or crops. 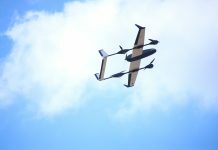 Ladybird—a project of Sydney University’s Australian Centre for Field Robotics—provides a glimpse of the autonomous operation possibilities for this type of aircraft under revised RPA regulations. The solar-electric powered robot whirred over a demonstration paddock at the Field Days like a preoccupied beetle and is designed for market gardens and vegetable growers. It can autonomously detect and map weeds and harvest. CASA is currently reformulating the rules governing RPA. Under the proposed changes—and depending on feedback received—RPA under 2 kg would only have to be registered online, but would be governed by basic safety rules for their operation. Whether you’re on a farm or in the city, safe flight of remotely piloted aircraft, whether for fun or farming boils down to common sense, and six simple rules. You must only operate this aircraft in your line-of-sight in daylight. Don’t let it get too far away from you. 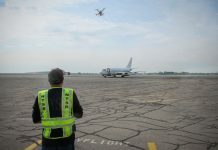 It’s illegal to fly it for money or economic reward outside line of sight unless you have an unmanned operator’s certificate issued by the Civil Aviation Safety Authority. Do not fly within 5.5 km of an airfield. Further advice for farmers: If you have neighbours who fly manned aircraft, or a local aerial agricultural operator is operating nearby, let them know when you intend to go flying with your remotely piloted aircraft. This article seems to contradict CASR 101 in quite a few ways. Has there been a major re-write of the regulations that I should be aware of? Hi, I am very aware of the proposed changes. Given the confusion in the industry around this issue is it a good idea to publish an article that further clouds the regulations? For example, the 120m AGL rule is for all airspace. Controlled airspace or above 120m AGL requires an area clearance with a NOTAM. This is the same with beyond line of sight. My understanding is that none of these are up for discussion in the amendments. I have also previously been informed by CASA that flying over a private property still requires a OC if it is commercial. Otherwise farmers, forestry companies, mining companies, government agencies and councils would all be exempt from any permit. Without permits they would most likely also be uninsured. As an aside on setting expectations for readers, the Ag Eagle covering 500ha in 45 minutes would have to be up at around 400m AGL to get that capture rate. Does this mean operating a craft under 2kgs commercially will no longer require an RPAS licence or have to work under an Operators Certificate?